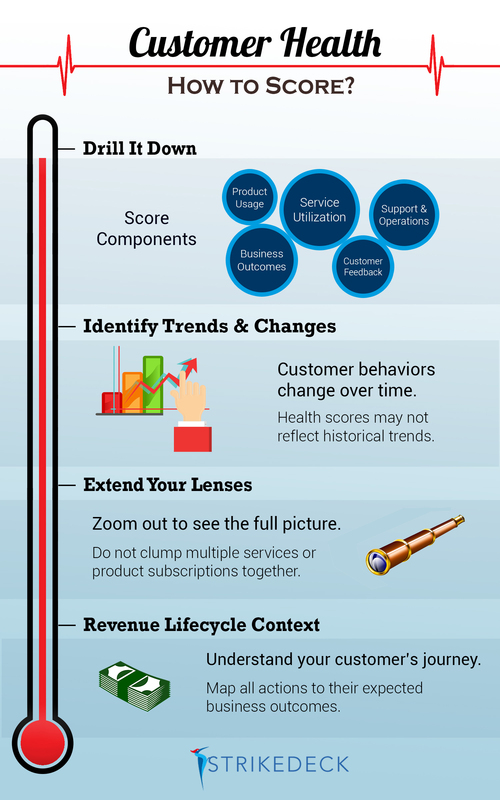 Customer Health: How to Score? If there is a central concern shared by Customer Success professionals, it is determining customer health scores in real-time, so they can head off churn before it gets to a tipping point. The key question is: how do you weight the components of the health score? For each company, not to mention each type of customer, the score can need varying inputs. Beyond the inputs, a historical view of past trends should also be considered, as well as mapping their progress towards expected business outcomes.